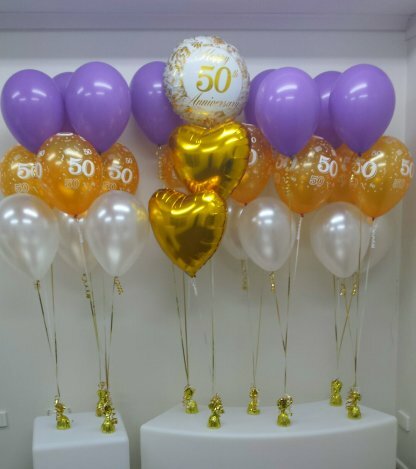 Balloon bunches are a great starting point for decorating your function, instantly adding colour and/or atmosphere to your event. 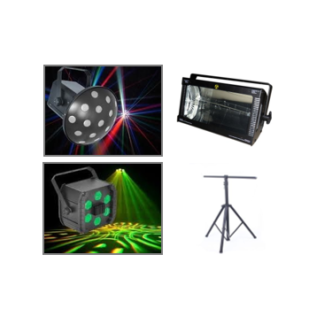 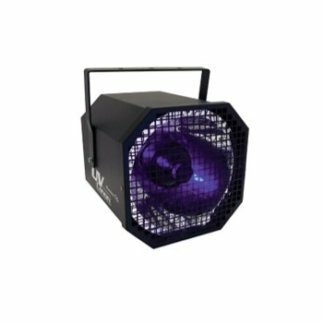 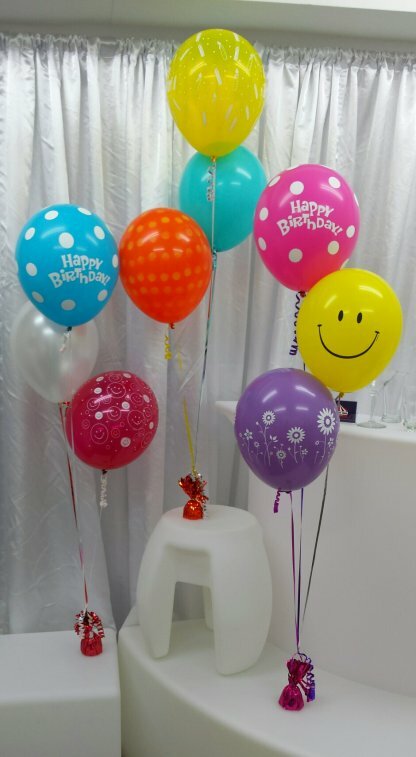 CQ Party Hire have a massive range of colours, prints and designs, and each bunch includes helium inflated balloon with hi-float and weight. 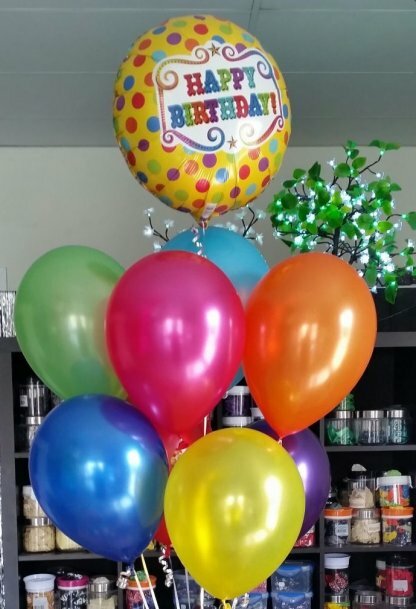 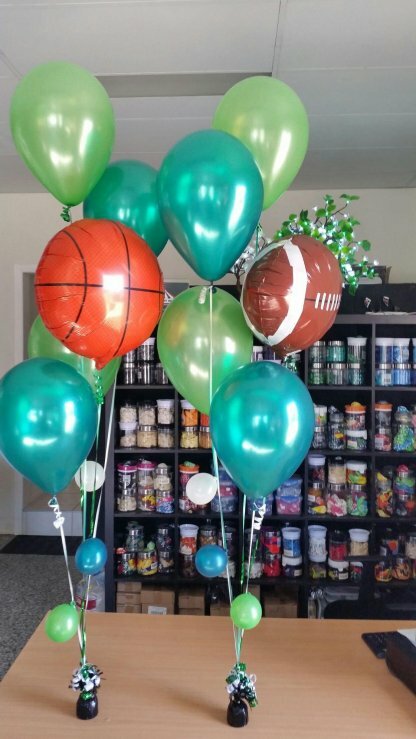 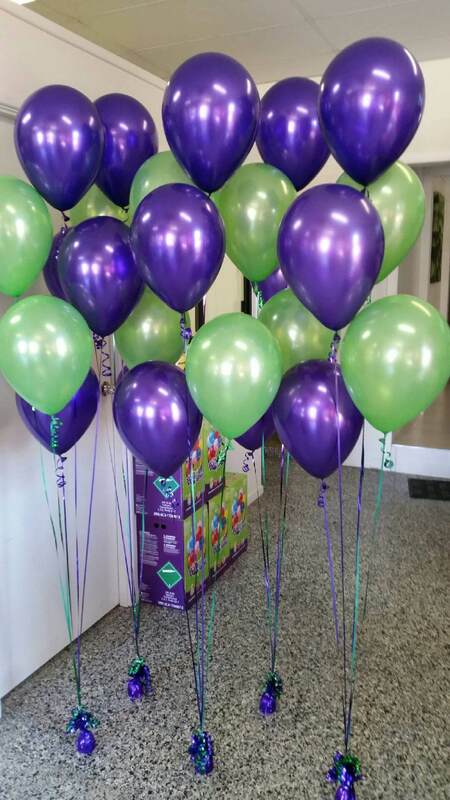 We recommend booking in advance, then collecting the helium bunches the morning of your party or event. 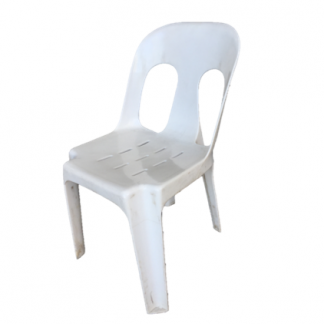 Visit our showroom today and speak to one of our balloon specialists.